I'm trying to wrap my head around the fact that I've recently discovered a lot of Lego meets Photography stuff out there on the web. First there was the Lego Pinhole camera which I posted last week. 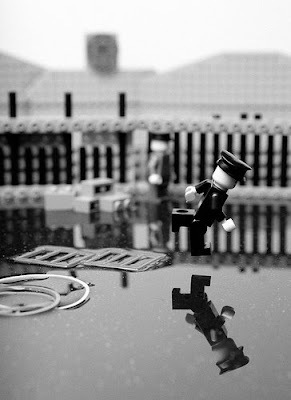 Now I discover a guy on Flickr who has recreated 22 famous images in journalism out of Lego blocks. I'm amazed and bewildered at the same time. Personally I have a tough enough time keeping my website up to date and the sensors clean on my cameras. Hat's off to all you adult Lego wranglers. Your creations bring magic to my day!